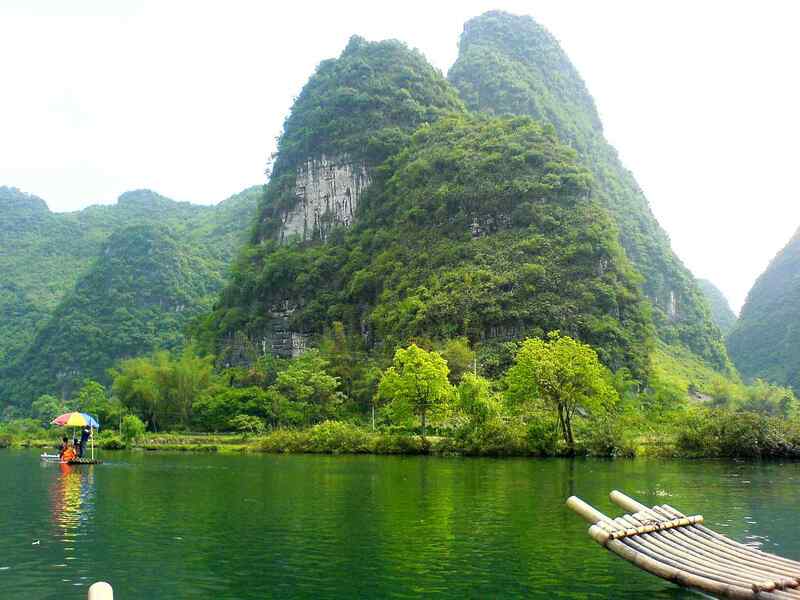 Take the 4-day budget tour to see the major sights of scenic guilin & yangshuo at the best price. Meet your guide and driver at Guilin Airport or Guilin Train Station and transfer to your hotel. 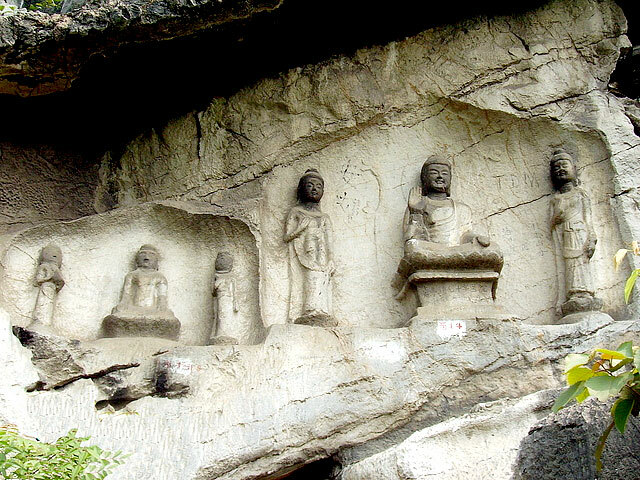 Then take the city public bus to visit the highlights in Guilin – West Hill, the city ancient water system, the 800-year-old city gate. 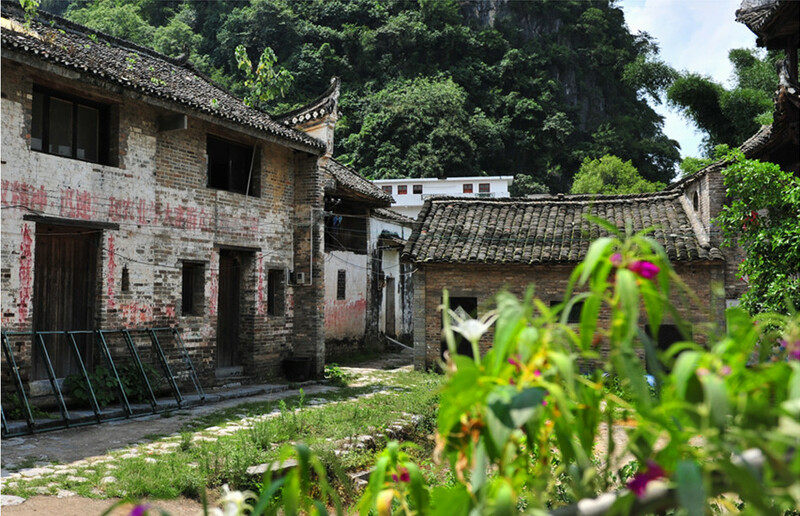 West Hill is one of the most famous hills in Guilin; But it is always non-touristy and not like the other crowded scenic spots in the town. Lunch is in a good local restaurant where you will have a good chance to try Guilin cuisine. Return to your hotel in late afternoon. Check out your hotel and meet your guide in the morning. 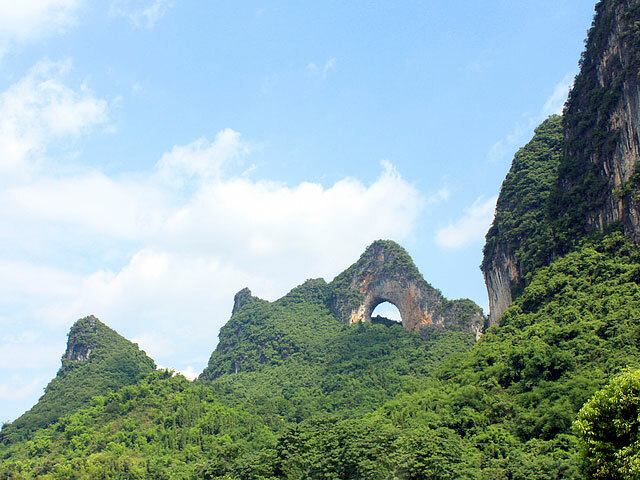 Then follow your guide and take the public express bus to Yangshuo. 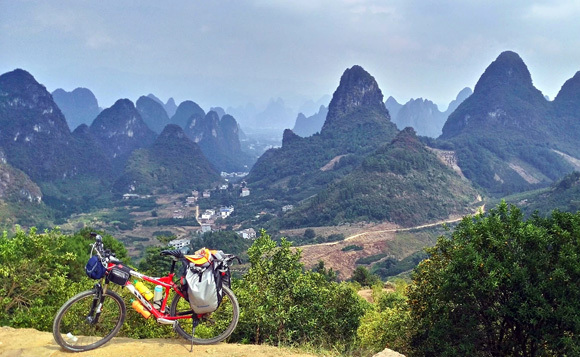 In Yangshuo, cycle to Liugong village and visit the picturesque farmland with your guide. 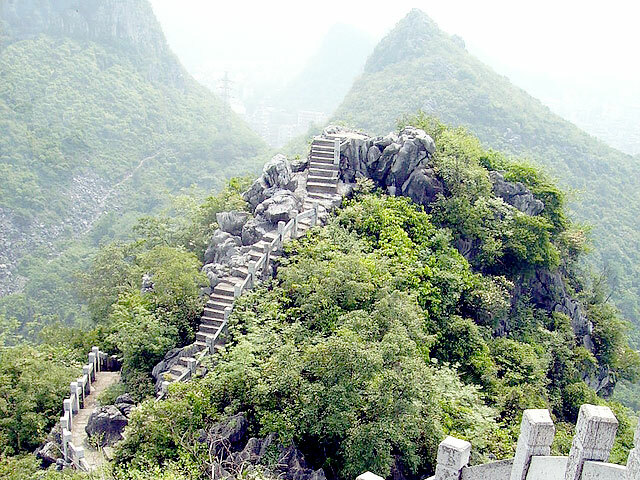 Stop at the Moon Mountain and climb up to the summit for a wonderful view of the surroundings. Come back to the town of Yangshuo in the afternoon. Then enjoy your own dinner and free evening. 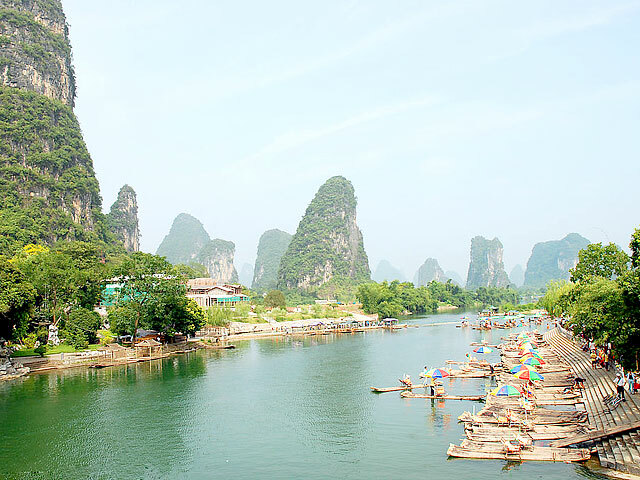 Follow your guide and take the local public bus to Xingping, explore the old town of Xingping and have the relaxing bamboo rafting on the beautiful Li River. 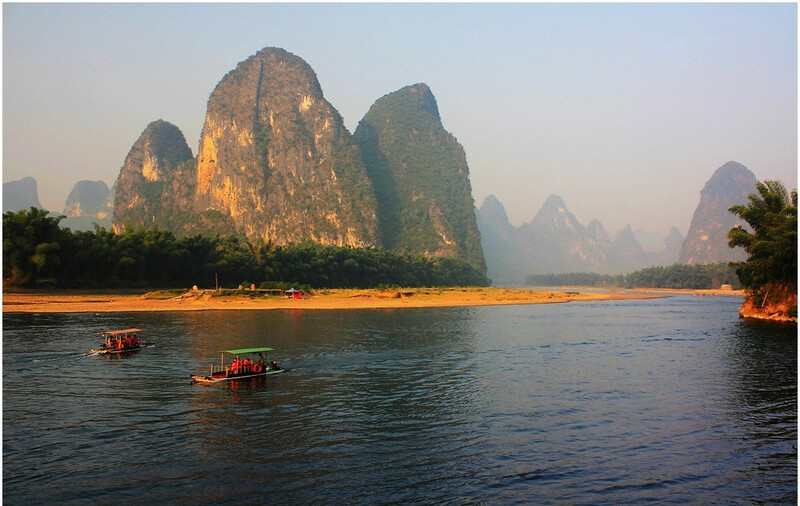 Then you may also climb up one hill for a good bird’s eye view of this breathtaking scenery at this section of the Li River. 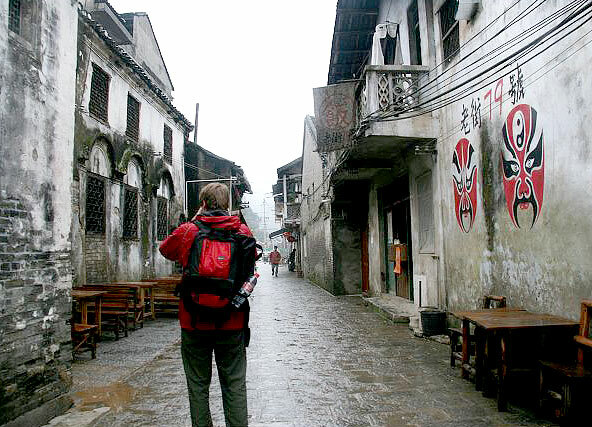 Back to Yangshuo in the afternoon by the public bus and enjoy your free time. Take the express bus back to Guilin and then change public bus either to the airport or train station for your next destination. Please inform the price of this tour. Thanks for inquiry! Our tour price is subject to travel dates and group size. Please kindly check your email from our travel consultant and let us know these information. Any other requirements are valuable for us to customize the best tour appropriated to you. Please inform the price 4-day Guilin & Yangshuo Budget Tour. for 12 people or 17 people. We are so glad to be of service to you. Regarding your inquiry, our travel specialists will get in touch with you soon via Email. We are very glad to be of service to you. Regarding your inquiry, our travel specialists will get in touch with you soon via Email. We are more than happy to be of service to you. Regarding your inquiry, our travel consultant will get in touch with you soon via Email. Have a nice time there. Hello, we are looking at taking a group of high school students (approximately 15-20 students) on a Guilin tour. Do you take tours this large, and approximately how much would this cost per person? We are so pleased to be of service to you. 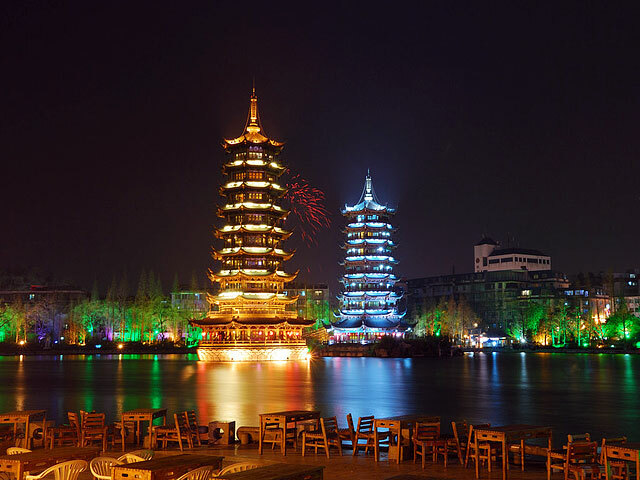 Regarding your trip in Guilin, our travel specialist will contact with you via Email soon. how much the price for budget tour package ? We are so happy to have the chance to be at your service. For details, our travel specialist will contact with you via Email soon. We are so pleased to be of service to you. As to the tour you requested, our travel specialist will be in touch with you soon via email. We are so glad to be of service to you. Regarding your trip in Guilin, our travel specialist will be in touch with you soon via email. Can you give me the price? We are so pleased to be of service to you. Regarding the trip details, our travel specialist will be in touch with you soon via email. Hi, i wanna ask about tour price. We are more than happy to be of service to you. Regarding the trip to Guilin, our travel specialist will be in touch with you soon via email. We are very glad to be of service to you. Regarding the tour details, our travel specialist will be in touch with you soon via email. may I know the price? Thanks for contacting Guilin Holiday. We are very glad to be of service to you. For the tour details, our travel specialist will be in touch with you soon via email. Thanks very much for your inquiry. We are very glad to be of service to you. our professional travel consultant will contact you soon via Email.